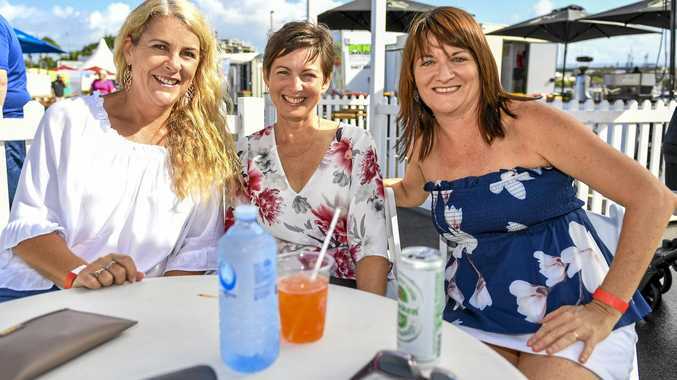 A RARE cloud formation has been seen crossing Yamba this afternoon, and is on its way to the Northern Rivers. North Coast Storm Chasers' Antonio Parancin said a roll cloud was one of the rarer things to see weather wise. "This roll cloud should continue moving up the coast as the day goes by eventually reaching Evans Head, Ballina and Byron," he said. While documenting these clouds is challenging due to their rarity, they were officially introduced into the International Cloud Atlas last year as a species called volutus. 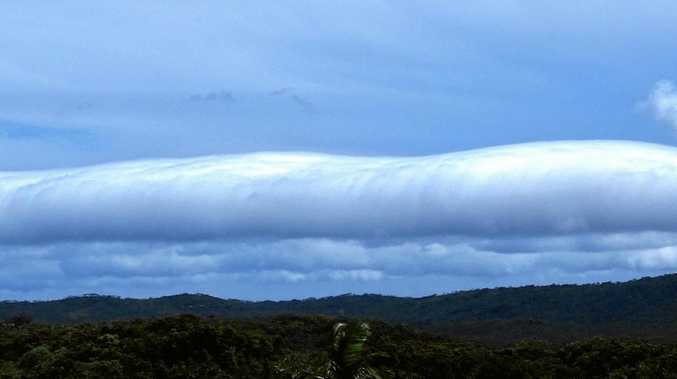 WeatherOnline describes a roll cloud as "a relatively rare, low-level horizontal, tube-shaped accessory cloud completely detached from the cumulonimbus base, unlike the more common shelf cloud". "When present, it is located along the gust front and most frequently observed on the leading edge of a line of thunderstorms, a cold front or line squalls. The roll cloud will appear to be slowly "rolling" about its horizontal axis." Mr Parancin said along with the roll cloud storms are now developing inland and are moving generally NNE along the range. 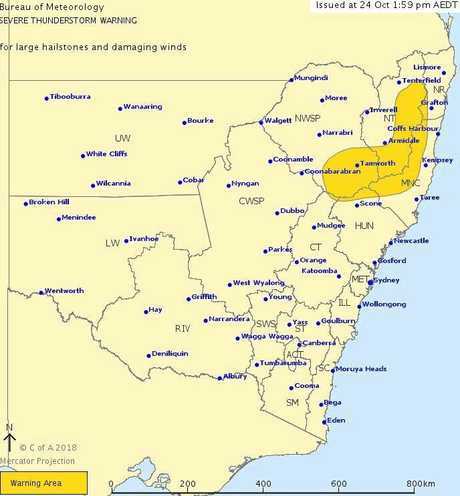 The Bureau of Meteorology has issued a Severe Thunderstorm Warning for large hailstones and damaging winds for western parts of the Northern Rivers over higher grounds. Nik Voss saw the cloud and said: "We were walking long Wooli beach stinking hot no wind suddenly this huge southerly buster kicked in and we looked up and this roll cloud was right above us. "It was absolutely barreling horizontally conical cyclonic looking clockwise swirl. It stretched all the way out to Solitary Islands. "At one stage it looked so close to the ocean is looked like it was going to form a massive water spout trick of the eye I guess it was bizarre and very cool."